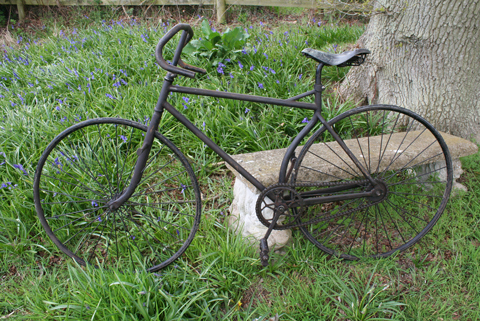 Many of the rarer 19th century bicycles still in existence are not original. This reproduction 1893 machine is a logical creation. So you can see why an enthusiast has built one. ‘Reproduction’ essentially means that the actual frame is not original, even if original components are used on the machine. It can be difficult to tell the difference between genuine and repro machines of this era: they were hand-built 117 years ago and, when made subsequently, the same manufacturing techniques were used. Despite its ‘repro’ status, this is obviously an interesting machine which has been well manufactured. 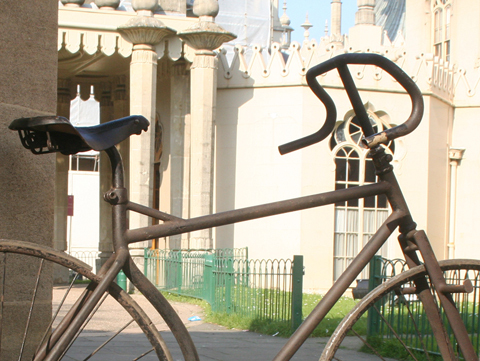 Its diamond frame has a braced saddle support; it features dropped handlebars; and the wheels are 30″ with solid tyres. 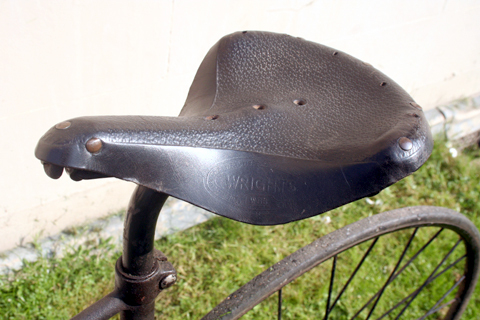 The saddle is a Wrights. 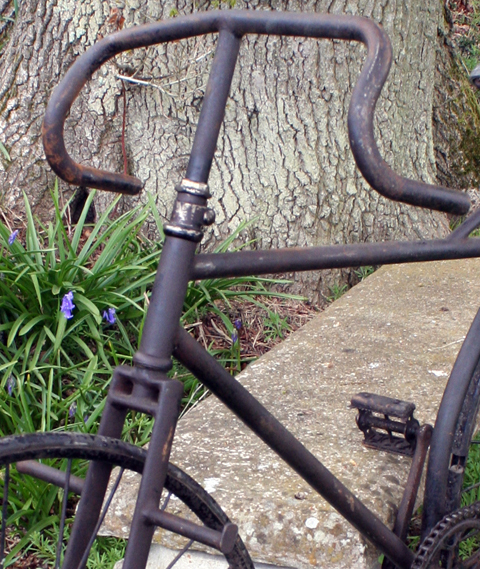 Previously, bicycles had been the preserve of fit men who could afford the outlay. 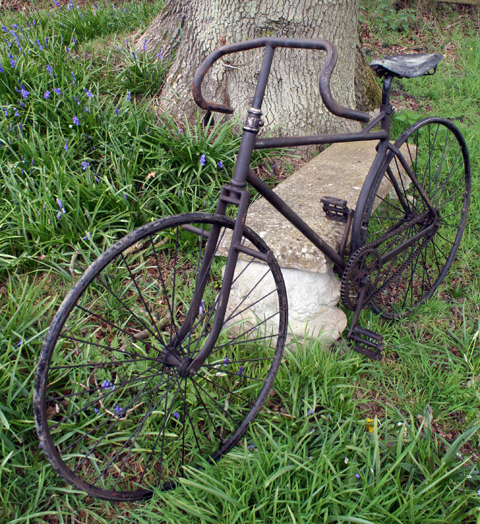 But, by 1893, bicycle design and engineering methods had developed sufficiently for machines to be manufactured cheaply and well enough for the public to easily use. Companies were starting to gear up for mass-manufacturing processes, and there was a national show (above). 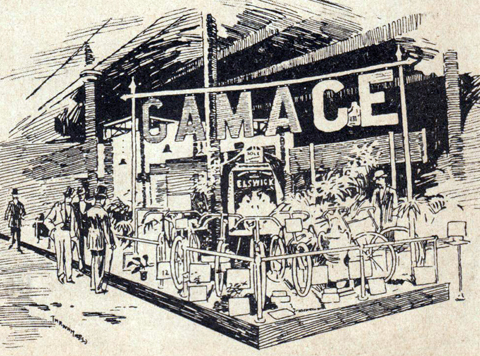 The bicycle boom was now in full swing. Early safeties featured either left-hand or right-hand chains. There was no particular advantage to mounting it on either side. 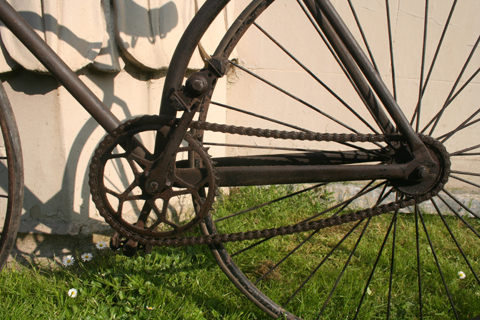 But, with the 1890s boom in bicycle sales, the industry had to standardize cycle components. 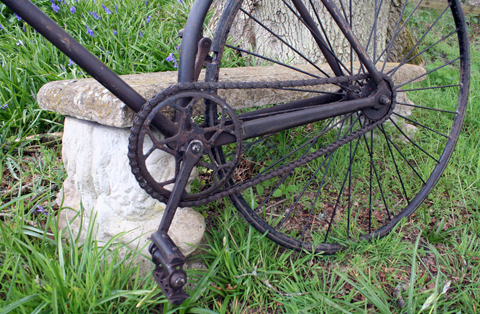 By 1895, right-hand chains had become the standard. 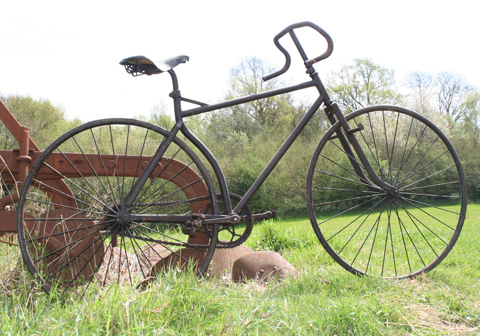 I’ve ridden this machine. 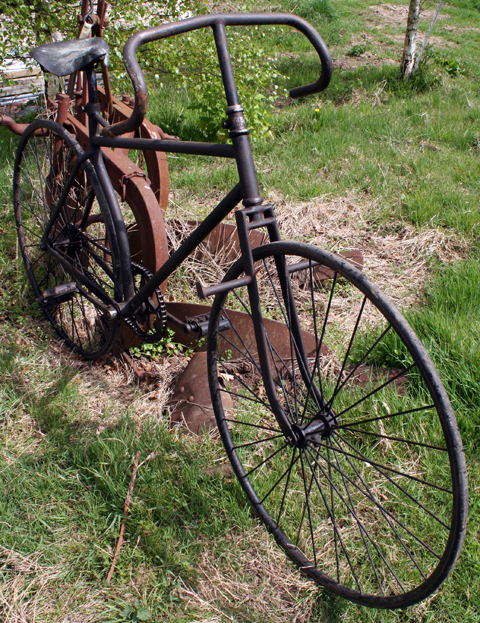 Like all solid-tyred safeties, it’s not a particularly gentle ride! 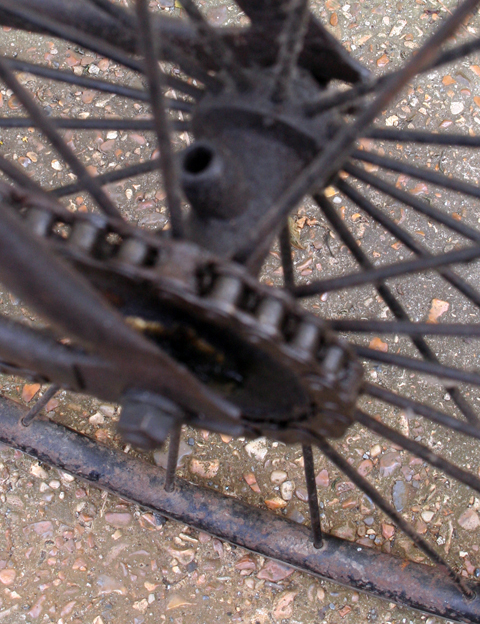 But it’s fascinating to experience this type of large fixed-wheel bicycle with no brakes. 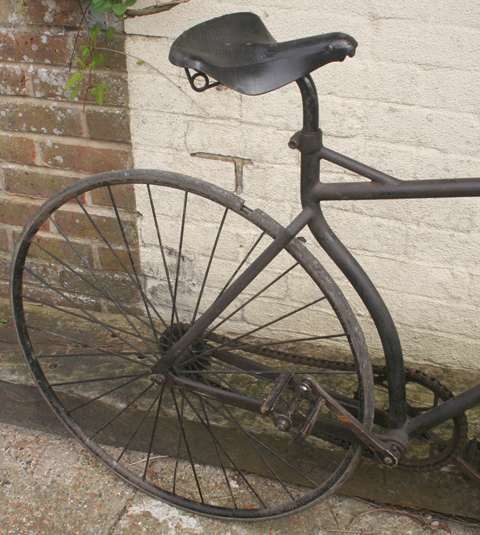 Of course, this would have been the ultimate in personal transportation before cars and motorcycles were on the road.